Many of us get into a routine of eating the same things over and over again. At times this can be good – like when we are pinched for time and need a go-to no-fail meal. I know I certainly could do for some more routine in my eating regimen. 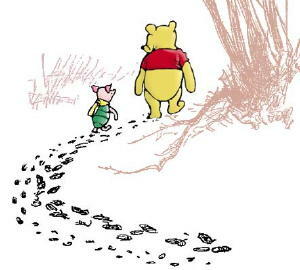 But I, like Pooh, get quite excited by meals, especially breakfasts. So that means I like to switch things up every now and again. Recently toast has been a quick, easy, and economical breakfast for me. And, not to mention tasty, nutritious, and hunger-satisfying. The trick to make toast a fulfilling meal is by adding an ingredient that brings fat and protein to the table. Without fat and protein in the meal, toast is just carbs and sugar, which we know will not suffice for the ol’ body, mind, and spirit. Here are 3 of my favorite ways to enjoy toast. 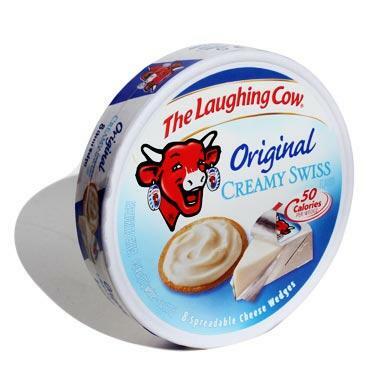 1) Toast + Laughing Cow Original Swiss Cheese (1 wedge) + whatever jelly/jam I’m digging at the moment (could be pepper jelly, apricot, ligonberry, the list goes on). I was introduced to this cheese from my dear friend Irene. I like the taste, the ease of the spread, and the portion controllable packages. The cheese adds protein and fat to the meal, which is great, and who doesn’t like cheese? 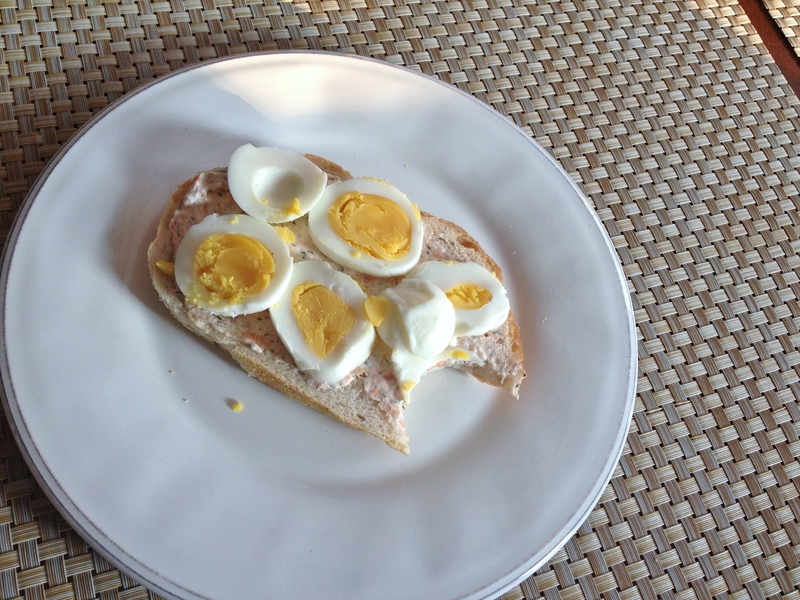 3) Toast + Salmon Spread + Egg (hard-boiled, sliced). I came up with this creation a few days ago. I had to pick up my husband from the airport last Tuesday, so I figured I’d make a pit stop at my favorite co-op, Mississippi Market. While there, I decided to try out their smoked salmon spread. We always keep hard-boiled eggs on hand for quick and easy snacks, so come the next morning, I decided to slice one up and put it on top of the salmon spread to see how it tasted. Turns out it’s my favorite new way to eat toast. YUM! Honorable mention: It would be unfair for me to go without mentioning avocado in this post. Toast + 1/2 of an avocado + seasonings (a little sea salt, thyme, pepper) – or an egg if I’m really hungry, is another way I like to enjoy toast. Because I do normally like to add a fried egg (because I am normally hungry), I would not consider this as quick of a breakfast option, but it is quite delicious! What do you eat for breakfast? What’s your go-to meal? How do you like to eat toast? i have salmon spread and an egg on toast at least once a week! 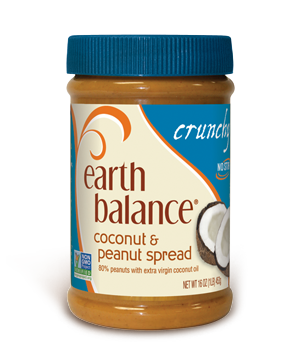 joe and i always think we’re the only ones who like that kind of spread, because people used to make fun of us for eating it….you are a kindred spirit! That is funny and I am somehow not surprised! We are kindred spirits. This toast post was inspired solely off of my recent discovery of the combo 🙂 Please do keep us in mind when you try out something else considered “weird” for breakfast, because we would probably like to try it, too! Happy breakfasts to you this upcoming week! Yum. Now I am hungry! And yes, who doesn’t love cheese.